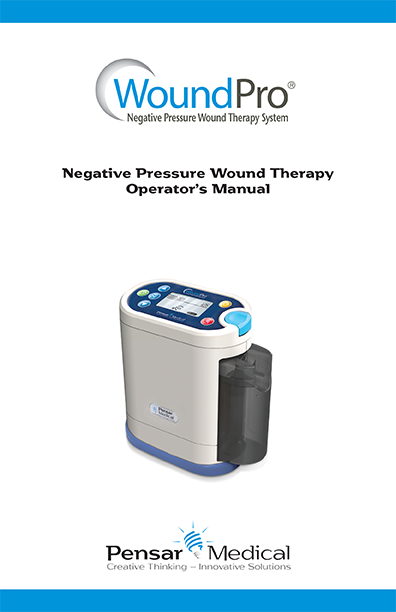 When first purchased, your WoundPro unit comes equipped with all the necessary accessories to get started with negative pressure therapy. However, any item may be purchased separately if needed. We also offer some additional ancillary products for special situations. Our Deluxe Carrying Case provides mobile patients the opportunity for incredible freedom to get on with their busy lives. 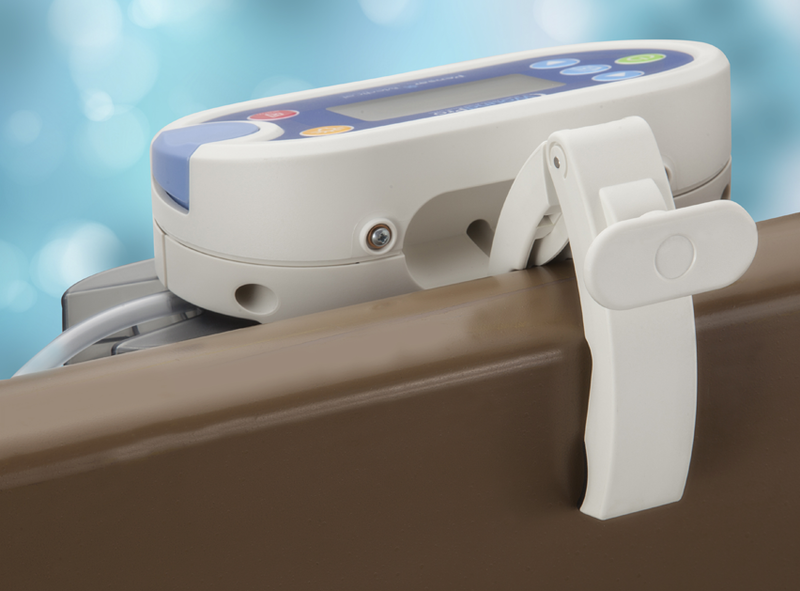 It is lightweight, yet sturdy and provides the user all the room they need for the WoundPro, its accessories and a few personal items as well. 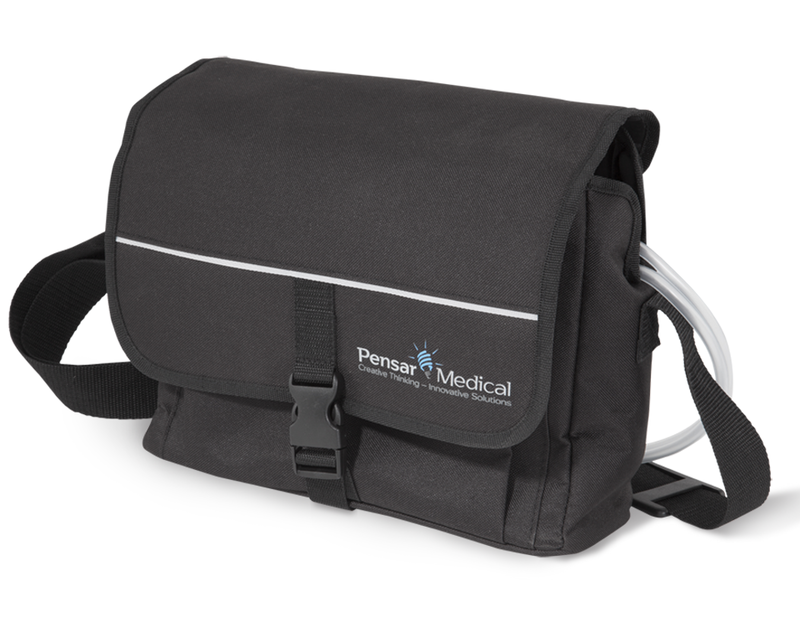 The carrying case also comes equipped with an adjustable length strap to accommodate patients of any height or enabling it to be hung on wheelchairs or walkers. A convenient access port is located in the back allowing charging of the WoundPro without having to take it out of its case. 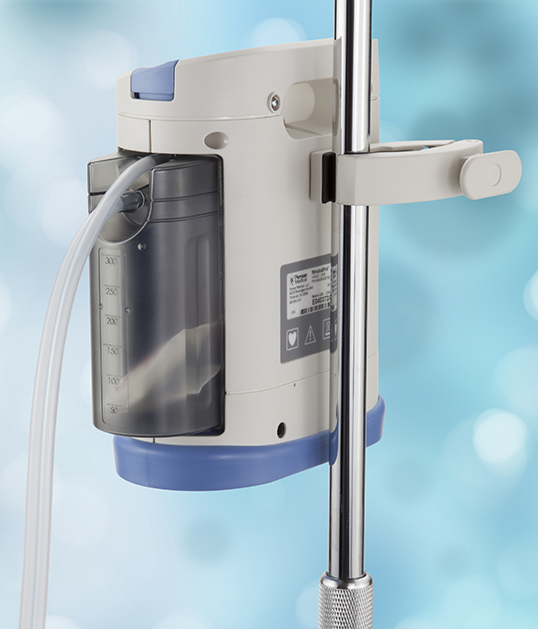 The easy to attach EZ Clasp allows the control unit to be attached to either an IV pole at the bedside or the footboard of the bedframe. 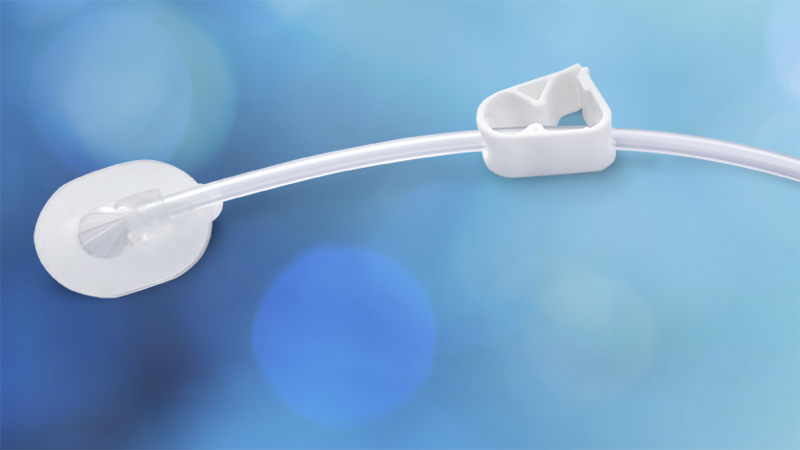 A simple adjustment in the orientation of the EZ Clasp makes it easily adaptable for a variety of applications. 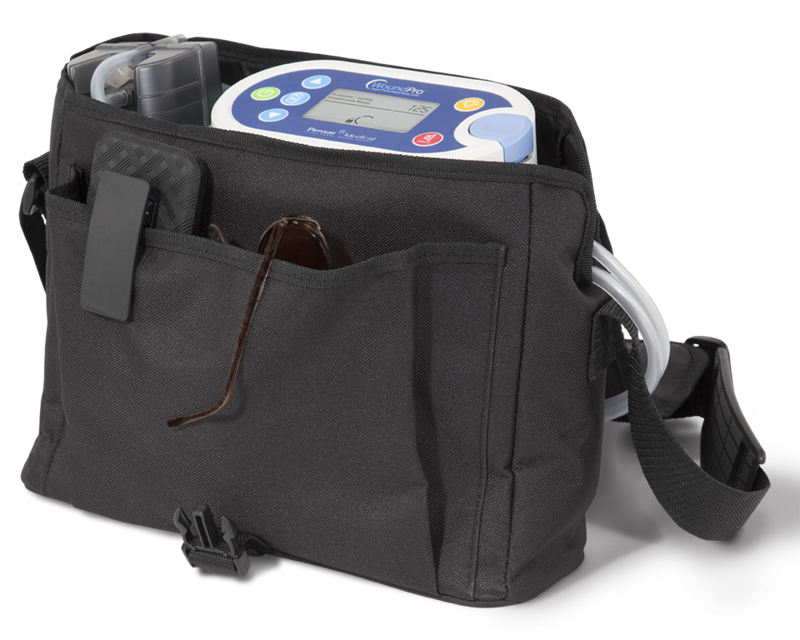 Lightweight and low profile it can stay with the unit at all times or be detached when the patient is on the move. 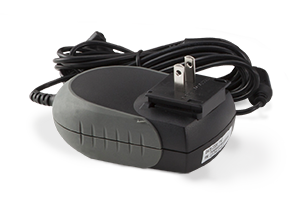 The WoundPro power supply comes with a 12 foot cord allowing the caregiver to place the control unit almost anywhere around the patient’s bed. 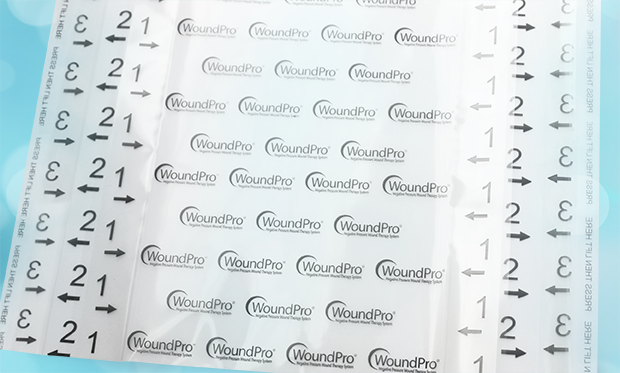 Should you need additional copies of the WoundPro’s Owner’s Manual, they can be ordered separately at a nominal cost. It includes all the information necessary for proper use and operation of the Control unit, dressing application and maintenance. Provided in a pack of 10. Or download a pdf here. A valuable tool that is a must “leave behind” after the salesman’s in-service. We insert one of these cards in every control unit box when first purchased. We also offer this card at a nominal price as we realize it can get lost after numerous deliveries and pickups. 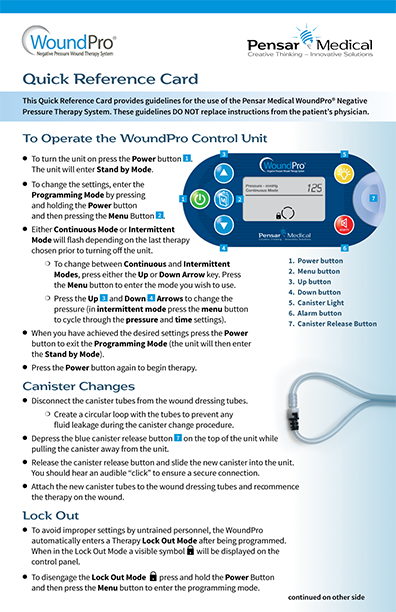 Laminated for durability and clean-ability, this card provides the caregiver with all the basic operations of the WoundPro. Provided in packs of 10. Many times wounds can be located on or near a turning surface necessitating a “bridge” to relocate the application site of our StingRay Suction Bell. We offer a bridge kit to facilitate this operation. Our Bridge Kits can be easily cut to size to any length making application a snap. Individually packaged for convenience with an outer drape for patient protection. Provided in packs of 2. 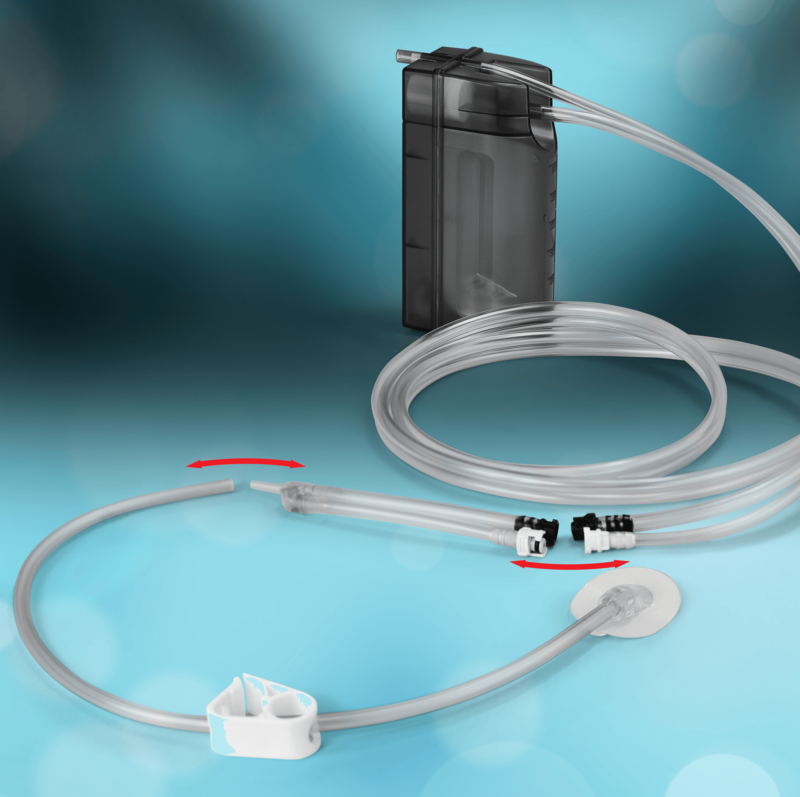 Our patented Y connectors not only provide the means to treat multiple wounds with one WoundPro control unit but our one way check valves eliminate the chance of cross contamination between the wounds. 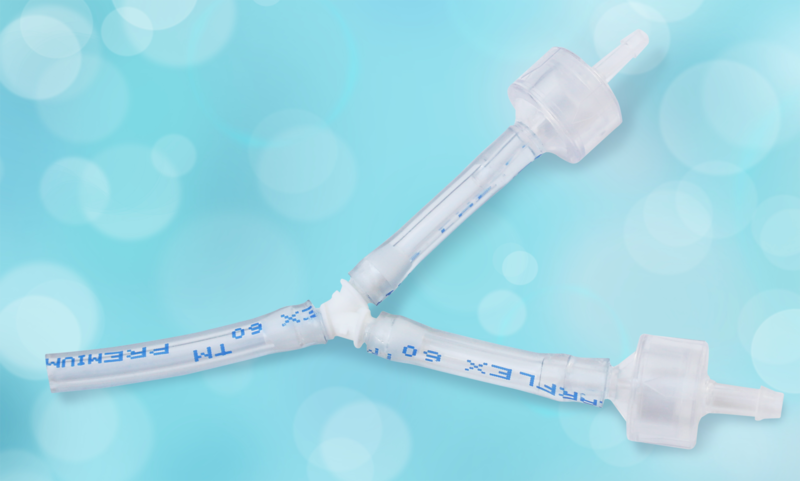 Available for both our Basic and Advanced Series Kits, our Y-Connectors allow for safe and protective care for multiple wounds. Provided in packs of 10. We can provide additional Outer Drapes for those times when the ones provided in the kits are not enough. Available in packs of 10 or 25 per box, these individual drapes can be placed on a cart for whenever an extra drape is needed for dressing “repairs” or additional window-paning. May be ordered in either 25 pairs per box 0639, or 10 pairs per box 0802. For your convenience we individually pack our Basic Series StingRay Suction Bells. Provided in packs of 5. For your convenience we individually pack our Advanced Series StingRay Suction Bells. Provided in packs of 5. We also offer a mini-StingRay for those “hard-to-apply” places of the anatomy, like heels or ankles. Very small and very malleable, the single lumen mini-StingRay is used with our uses our Basic Series canister. Provided in packs of 10. 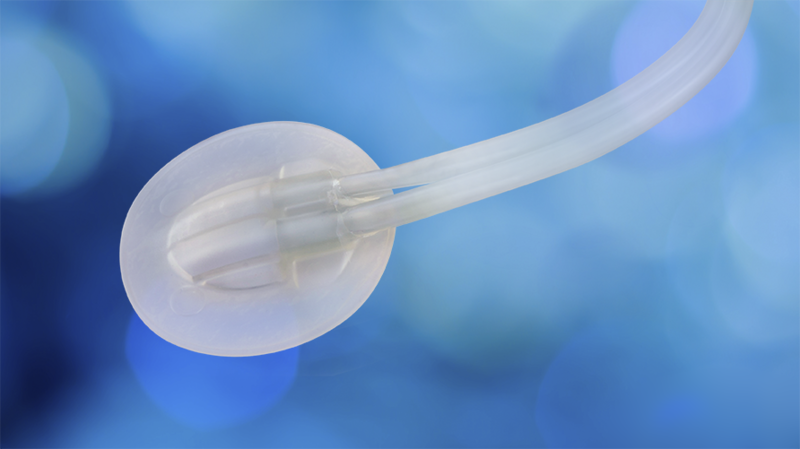 The Mini StingRay is the answer for smaller, more out of the way wounds, but its smaller size prohibits the ability to attach two tubes. Until now, the Mini could only mate with the Basic series canister. The adaptor enables you to use the regular Advanced Canister and attach it to our one-tubed Mini StingRay. 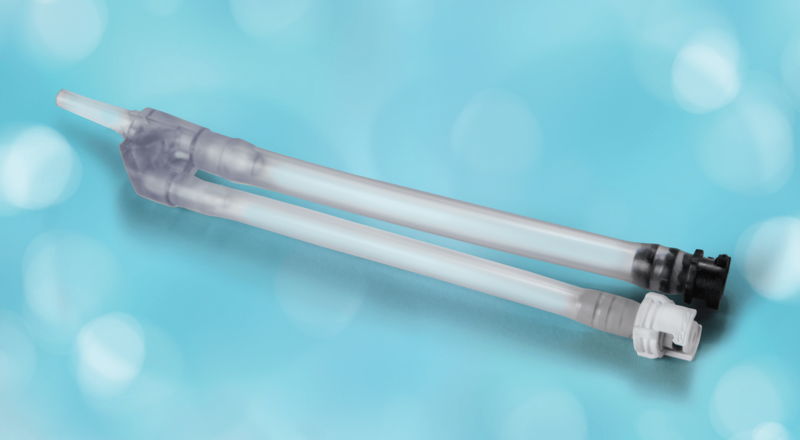 So we came up with a very simple solution: a new adaptor that connects our one-tubed mini-StingRay to our regular Advanced canister. 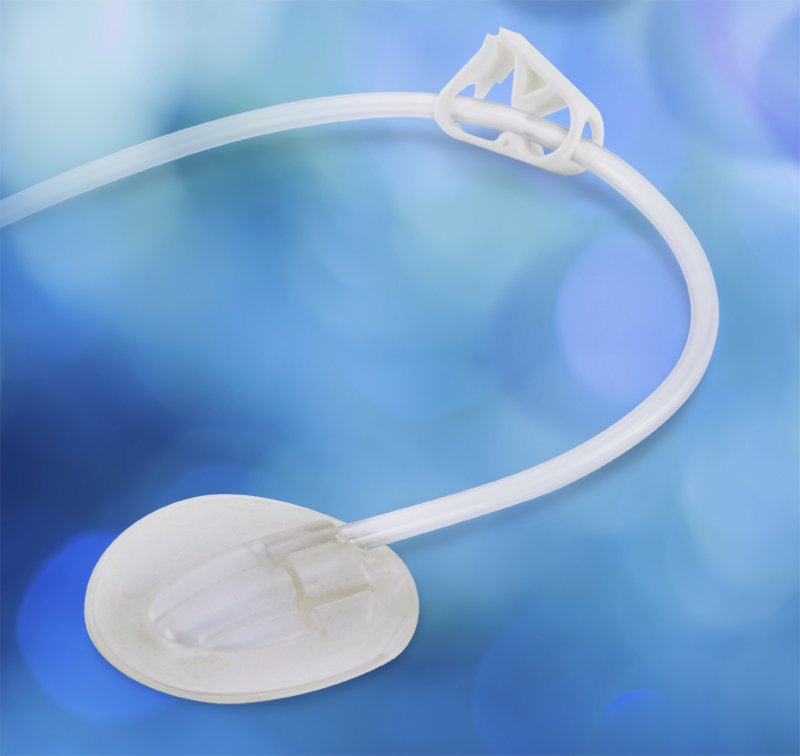 Yes, you do temporarily give up the ability to measure at the wound site for the few times you’re treating smaller or hard-to-reach wounds, but with this adaptor you do not have to stock BOTH the Advanced and Basic canisters in order to treat that patient. 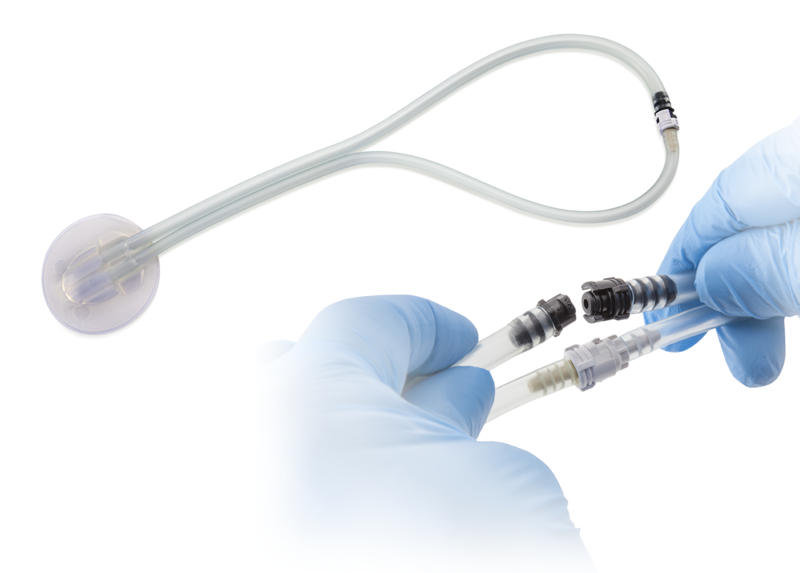 With this ability to quickly install our new adaptor on the spot, you can customize treatment for your patient immediately. No more calling to order a case of Basic Series canisters and waiting until they arrive.